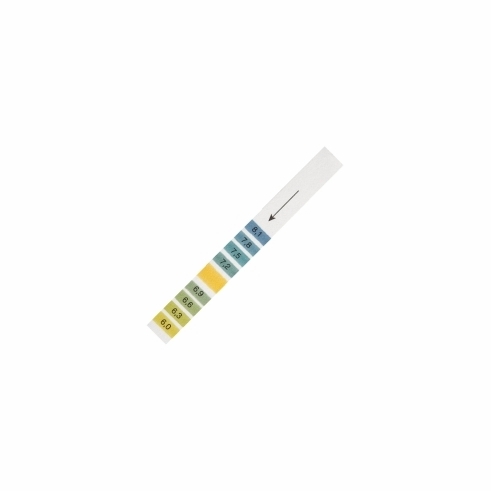 Short pH Range: 6.0 to 8.1pH test strips feature four different segments of dye-impregnated indicator paper segments. The combination of color differences gives an extremely clear and accurate visual pH value Dyes are chemically bonded to the pH test paper segments and cannot be leached into solution - avoiding sample contamination. Each test strip has a central segment of indicator dye and, printed alongside, 8 or more different color segments marked with corresponding pH values for matching purposes. The pH test value can be read off by direct comparison of the test strip color and the color bars. Ideal for colored solutions, when any changes in color of the paper stock are automatically cancelled out. Whatman offers a range of pH indicator and test papers to meet your specific needs. Made with traditional Whatman quality, these products combine ease-of-use with unsurpassed accuracy and consistency. The convenience of using indicator papers for the rapid determination of pH values has led to many applications in laboratories and industry.